In a high class final, Haydon Pinhey was forced to dig deep, coming from behind to win 3-2 against youngster Dan Legassick. Pinhey took the first frame with the help of a 21 break. Legassick levelled, and then took the next frame to open up a 2-1 lead with the aid of 25 & 20 breaks. Pinhey, came back in the next frame with a 25 break to draw them level once more. This set up a tense decider in which fluent break building turned into a battle of safety play. This proved a key turning point for Pinhey to take the match 3-2. In the semi finals Pinhey was in the zone. He rattled in breaks of 31,25, 23,22 & 21 to chalk up an emphatic 3-0 win over previous event winner Chris Coumbe. Joe Murray and Legassick contested the other semi final and it was business as usual for the two practice partners. Legassick won the first two frames, the second with the help of a timely 27 break. Murray played with maturity beyond his years and a never give in attitude to win the third frame and looked like levelling the match at 2-2 before a timely error let legassick in and steal the frame on the colours. In the group stages Pinhey ran out an easy winner of group A by winning all his matches without dropping a frame. Coumbe took the second qualifying place with steady snooker. The highest break of the group was 31 by Pinhey.In group B Murray came out on top also winning all of his matches and dropping just one frame. Legassick took the remaining qualifying spot with his usual array of open potting. The highest break in the group was 24 by Murray. 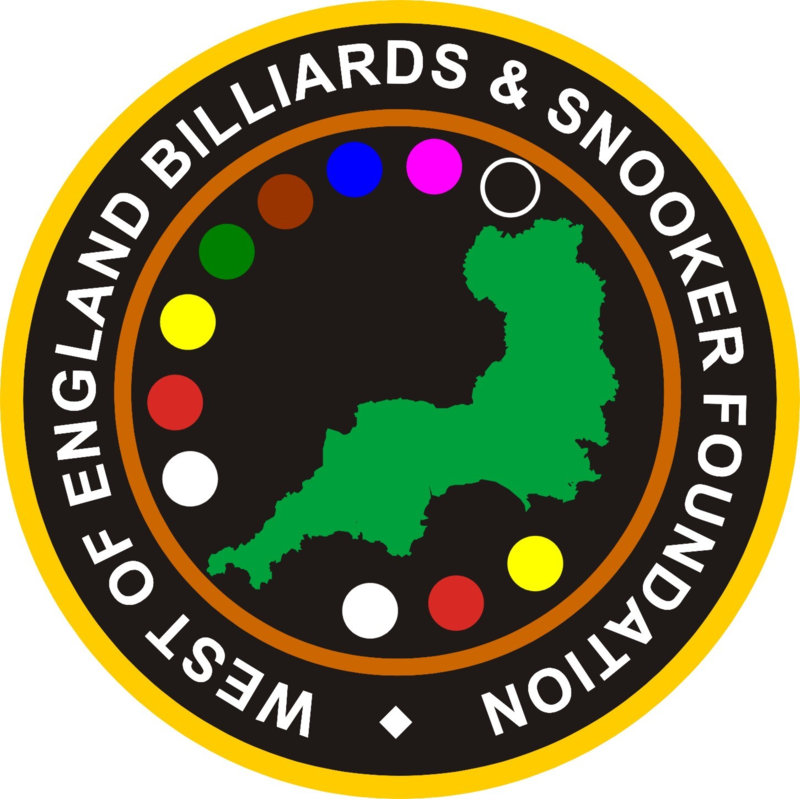 The West of England Billiard & Snooker Foundation under 16 Bronze Waistcoat event 2 was staged at a new venue, the Plaza Snooker Club, Plymouth. After a tough day of competition, it was the same two youngsters that contested the final, reigning champion Haydon Pinhey against Daniel Legassick. After coming through close fought semi finals, both players found it hard to get going in the final. Legassick seemed the fresher of the two, quickly racing into a 2-0 lead. Pinhey is not the type of player to roll over and accept defeat without a fight and quickly pulled a frame back to halve the deficit. He followed this up with a superb 49 break to level the match at 2-2. The deciding frame could have easily gone both ways and it was fitting that it went to the final black. Legassick had three good chances to win the match. Pinhey looked defeated expecting the black to drop in and seal his fate, much to his surprise Legassick missed and it was left hanging over the middle pocket. Pinhey made no mistake in potting the black to take his second Bronze Waistcoat event in succession. In the semi finals, Joe Murray, who is tipped a real contender for an event win, made Legassick fight all the way. Murray always looked to have the edge in the first frame without forging out a lead. This was to prove crucial in the latter stages, as Legassick potted to the blue, leaving Murray needing pink and black to win. After potting the pink, Murray was faced with long black. After composing himself, he committed himself to the winning pot. Painfully it rattled in the pocket jaws and ran across to the opposite pocket, leaving Legassick an easy tap in to go one up. Legassick, was a bit more free flowing in the next, and quickly opened up a commanding lead. With the frame already won, Legassick sealed Murray’s fate with a 25 clearance. In the other semi final, Pinhey and Adam Lewin treated onlookers to a fantastic spectacle. Lewin, made Pinhey fight for every point, matching him in every aspect of the game. In the first frame Lewin sprinted over the winning line, mopping up the colours to win the first frame, as he potted the black he clenched his fist in a triumphant gesture . Pinhey levelled the match, posting a colour clearance of his own. In the deciding frame, Pinhey looked totally focused, potting an opening long red to set up a 32 break. Lesser players would have crumbled, but Lewin replied with a 28 break of his own. It was punch for punch all the way to the end. Chances came and went for both players on the remaining colours. Eventually after some fantastic safety from both players, a slip from Lewin let Pinhey in to take the pink and a match winning black. In group A Pinhey romped away to win all of his matches without dropping a frame. A close second place went to Murray. Notable breaks were made by Pinhey 35, and Murray 28. Daniel Legassick topped group B also winning all his matches. Second place went to Lewin. Notable breaks in the group all came from Legassick, with runs of 28, 47 and the days highest, a superb 55. Tournament Director Steve Brookshaw said “Haydon Pinhey has done well to win again. There are a couple of players hot on his heels pushing him all the way”. Any young person wishing to have a go at snooker is welcome to come along to our Coaching School held on most Saturday mornings at Rileys, Plymouth”. Contact details: email websf_uk@yahoo.co.uk. The West of England Billiard & Snooker Foundation under 16’s Bronze Waistcoat event 3 was sponsored and hosted by Rileys, Plymouth. Numbers were slightly down but the quality was as good as ever. For the third time this season Haydon Pinhey and Dan Legassick contested the final, on both occasions Pinhey had the better of Legassick by the odd frame. In the group stages both players had only dropped one frame apiece so the final promised to be a real corker and the players did not disappoint. Legassick won the first frame 58-20 only to see Pinhey draw level 73-31. In the final frame Legassick turned on the style to win the frame 65-32 and the match 2-1 thus ending Pinhey’s run of no less than seven consecutive tournament wins that span two seasons. In the semi final Legassick demolished Chris Coumbe 2-0 in a potting frenzy, whilst Pinhey was put to the test by Adam Lewin before he won through 2-1. Legassick finished top of the group stages edging Pinhey into second top. Coumbe finished in third place and was joined by Lewin who had come through a three way tie that could only be separated on frame count-back. Pinhey had the best break of the day a fine 40. Tournament Director Steve Brookshaw said “Dan Legassick has come very close to ending Haydon’s great run in the last four tournaments, his persistence has at last paid off. I expect these two promising youngsters to have many more close battles in the future.” Any young person wishing to have a go at snooker is welcome to come along to our Coaching School held on most Saturday mornings at Rileys, Plymouth”. Contact details: email websf_uk@yahoo.co.uk. 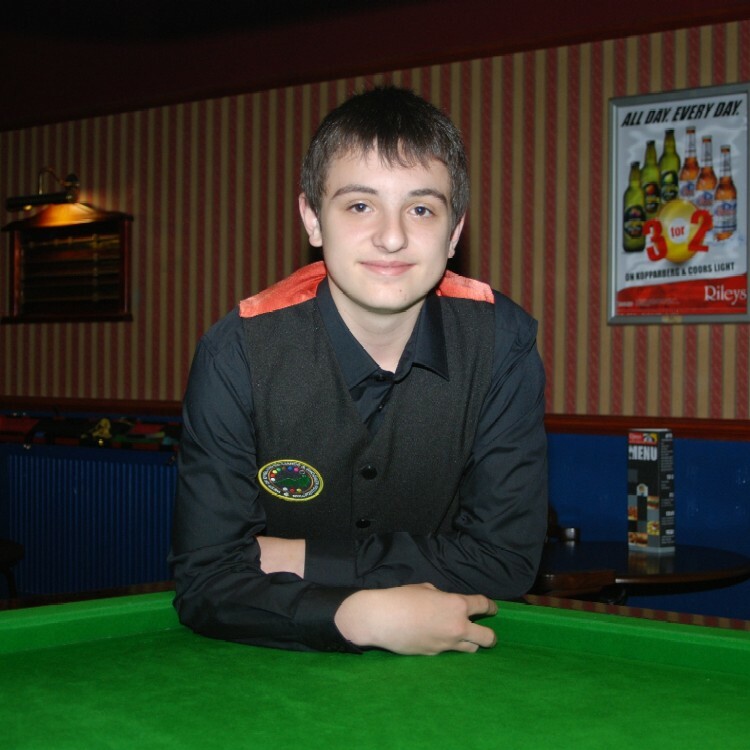 The climax of the WEBSF Plymouth Bronze Waistcoat tour was reached at Rileys Snooker Club which resulted in the cream of Plymouth’s talented young snooker players rising to the top of the rankings and battle it out in the final event of the season. Leading up to the final Dan Legassick and Haydon Pinhey shared two event wins apiece, so the stage was set for an exciting finale. Legassick started the day in pole position at the top of the rankings, just ahead of the reigning champion and current England U14 player, Pinhey. Both players were fully aware that the title would go to the player who performed best on the day. After a long day of competition it was fitting that both players met in the final. Legassick settled the quicker racing into an early one frame lead in the best of 5 final. One frame looked to become two for the majority of the second frame as Pinhey struggled to get into the groove. Faced with frame ball pink, Legassick displayed a few nerves which contributed to a miss which let in Pinhey to pot pink and black to level the match 1-1 punching the air in celebration and relief. Legassick, did not let this trouble him too much as he showed great character to quickly get into his stride with some superb potting to take the third frame to restore his one frame advantage. Pinhey has proved over the years that he produces his best snooker when his back is against the wall and the fourth frame was testament to this. He potted some key balls under pressure to level again at 2-2. The title of Bronze waistcoat champion was waiting for the winner of the next frame, and it was Pinhey who looked the more relaxed. With Pinhey playing the better safety, and Legassick determined to pot his way to victory at every opportunity, it was Pinhey who racked up the points. As the frame went down to the colours, Legassick found himself needing to clear from yellow to black to win. This looked a real possibility after Pinhey went in-off the yellow, setting up a golden opportunity for Legassick to clear, Pinhey feared the worst. After yellow, green and brown were potted Legassick had a mid range blue in his sights, a pot he his normally executes with clinical ease. Again nerves played a vital role as Legassick missed, setting up an easy pot for Pinhey which he gratefully accepted. This left Legassick requiring snookers to stand a chance of coming back. A great spell of safety ensued with Legassick laying snookers and Pinhey making escapes. This came to an end after a safety shot by Legassick saw his cue ball collide into the jaws of the centre pocket leaving a simple tap in for Pinhey which meant he was to be crowned champion for the third time. Both players will now progress to the regional finals later in the year where they will meet qualifiers from the other tours to compete for the regional title. In the group stages leading up to the knock out stages there were notable breaks from the following:- Adam Lewin 27, Pinhey 23, 23, 25, 36, and the days highest, an excellent 55 to equal Legassick’s 55 set earlier in the season. The other two players that will join Pinhey & Legassick in the finals are Adam Lewin and Chris Coumbe. Any young person wishing to have a go at snooker is welcome to come along to our Coaching School held on most Saturday mornings at Rileys, Plymouth”. Contact details: email websf_uk@yahoo.co.uk.